The end of the Pleistocene marks the end of the last ice age and is accompanied by the extinction of several large fauna. Perhaps the most noticeable of these happened in North America. 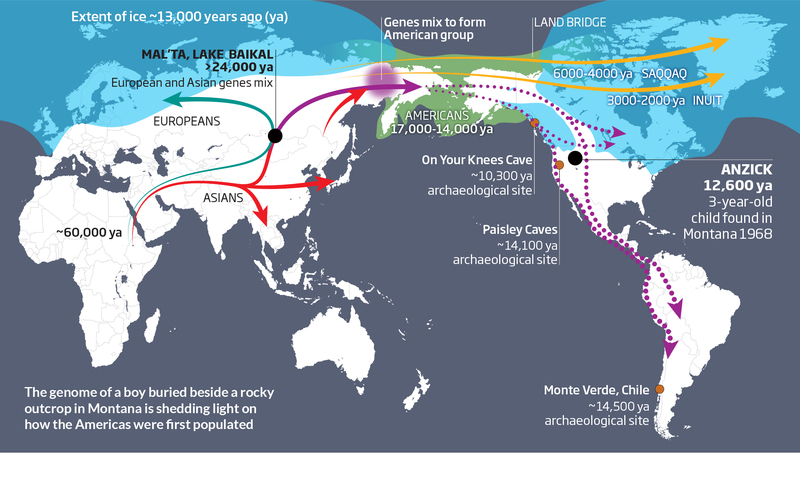 This also marks the migration of man from Eastern Asia into North America. The existence of kill sites, as well as the contemporaneousness of man’s arrival into the Americas and the disappearance of large fauna, has led some researchers to conclude that these Paleoindians hunted large megafauna to extinction, in what’s known as the Overkill or Blitzkrieg hypothesis. Because the Clovis hunters are known to have hunted mammoths and other large game, I will look at overkill from the hypothesis that the Clovis hunters were more specialized and more likely to hunt larger game, meaning that mammoths were more the target than smaller game, such as mountain goats. The argument that has been put forth by people such as Martin and Steadman; that Clovis culture Indians (one of the earliest Paleoindian cultures) hunted large game such as mammoths and mastodons to extinction (Grayson and Meltzer 344); has received sharp criticism. Archeological finds, genetic markers, linguistic comparisons, and carbon dating reveal that around 13,000 Years BP, groups of Siberian people crossed the Bering strait, which at the time connected Alaska to Eastern Siberia (Sutton 18). These tribes came in waves and over time, eventually filled the Americas to become the peoples that we now refer to as Indians/Native Americans, Inuit, Meso Americans, etc. While there appears to be controversy as to the waves of migration, the question being debated is whether or not Clovis culture Indians hunted megafauna to extinction. The appearance of the Clovis culture in North American coincides with the disappearance of the megafauna. 2-Clovis people preyed upon, if not subsisted on, large mammals such as mammoths. 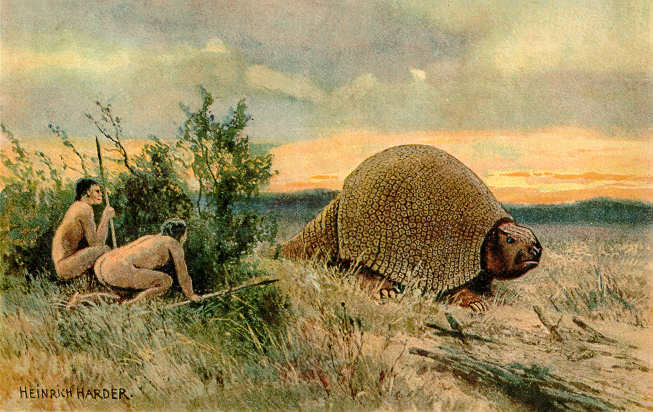 3-The hunting went to the extent of causing the extinction of these megafauna. There appears to be no real controversy among the first two here. For example, it does seem apparent now that the Clovis people were not the first to migrate to North America (Nemecek). But this is irrelevant to the question of whether or not the Clovis people are responsible for the disappearance of the now extinct megafauna. The disagreement centers around whether or not the existing kill sites display evidence that the killing of these animals was frequent and methodical enough to cause their extinction. If human arrival is, in fact, the cause of North American megafaunal extinction, we should expect a correlation of this with other continents andshould find other instances of rapid extinctions taking place just after the arrival of Homo sapiens, as this gives us yet another instance of mass megafaunal extinction. This is indeed the case with Australia, as the arrival of the people now referred to as Aborigines coincides with mass extinctions (Ellis 99). We also know that Homo sapien’s arrival into Europe coincided with a loss of megafauna (Ellis 107) as did their arrival in New Zealand (Grayson and Meltzer 345). One must ask why Africa, of all continents, would have retained its megafauna. 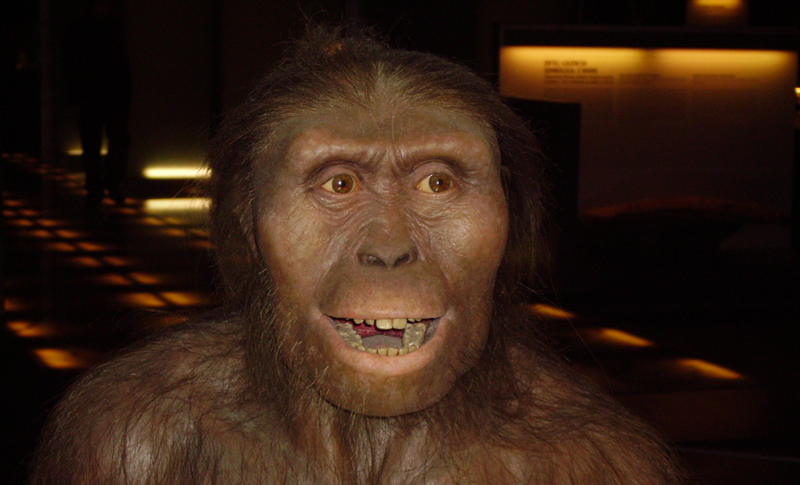 The answer seems simple from an evolutionary perspective; African megafauna lived alongside our ancestors as, over millions of years, they went from apes that walked upright, to the formidable hunters of the Pleistocene. Natural selection would have simply selected for those individuals who avoided contact with humans or were at least, able to cope with their existence. 11,000 years ago, the last ice age ended, and this marks the retreat of the ice sheet, causing temperatures to rise (Ellis 97). Climatic changes alone bear enough explanatory power to account for such a large extinction, as this has certainly happened in the past. 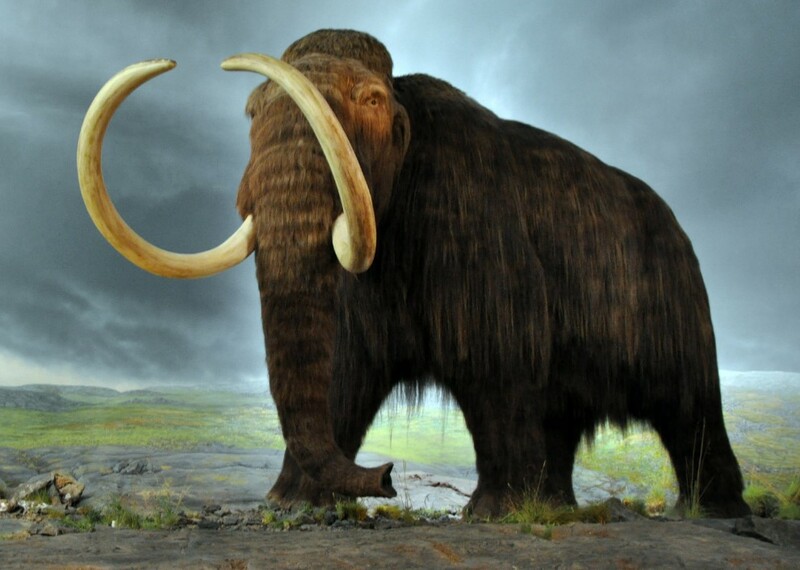 The end of the last ice age brought with it, a warmer and wetter climate, and this may have in fact affected the flora that mammoths and mastodons depended on (Haynes 404). Grayson and Meltzer take a look at the 76 Clovis sites provided in FAUNMAP and critique these sites for evidence tying Clovis hunting to fossil remains. Their research begins by excluding 47 based on lack of documentation (Grayson and Meltzer 321). Moving along their list of given Clovis sites, they filter out what they consider to be insufficient or loosely tied correlations. arrival in Asia, and given that the first Europeans, like the first Americans, were migrants from Asia, the extinctions on both continents (not as abrupt in Europe, but still significant nonetheless) fit this model. This explanation would also account for the apparent lack of relevant kill sites, as these deaths would have happened sporadically throughout various ecosystems, as opposed to kill sites. Far from mere conjecture, hyperdisease has been reinforced by the finding of tuberculosis in American mammoths (Than 2006). It is also known that Tuberculosis can infect a variety of mammals and only prove terminal to specific species within this group. While such dramatic changes in climate certainly have the sort of impact to cause such extinctions, there are other factors to consider. For example, North America has been host to other instances of dramatic climate changes (Ellis 99). Why didn’t these fauna go extinct then? “Overchill” also faces a problem with the disappearance of horses. The fact that horses thrived in North America after being reintroduced by the Europeans, casts doubt on their alleged inability to cope with a Holocene climate. Much of Grayson’s and Meltzer’s objections to overkill appear to be that of selective dismissal. After filtering out what they perceive to be as irrelevant due to such factors as “poor documentation,” their methodology is to then move forward and dismiss cases based on a lack of substantiation.For example, in justifying overlooking more than half of the Paleoindians sites found on FAUNMAP, the following explanation is given. But as can be seen in Table III, the vast majority of the sites were excluded simply because they were insufficiently described or documented. Indeed, it is striking how often sites asserted to provide evidence of Clovis hunting are so inadequately published that the claims for that hunting cannot be properly evaluated and thus must be rejected (Grayson and Meltzer 322). In addition to this, there are several examples of blatant dismissals based on lack of established control measures . The problem is not that any of these should individually be given the benefit of the doubt, but rather that there should be some weighting given to their existence in the first place. Rather than simply dismissing so many cases based on lack of proof “beyond a reasonable doubt,” perhaps it would be a bit more objective to factor in a ratio that allows for some weighting factor of these otherwise easily dismissed cases, some of which were dismissed based on the fact that the possibility of stratigraphic disconformities can’t be disproved. “Another group of sites, including many of the Florida underwater localities, were eliminated from further consideration because the only evidence of the presence of an extinct mammal was in the form of undoubted or suspected bone or ivory tools (e.g., Dunbar et al., 1989; Dunbar and Webb, 1996). As noted, we are interested in the use of these animals for subsistence, and not as sources of raw material for artifacts” (Grayson and Meltzer 322). It appears that Grayson and Meltzer are systematically dismissing cases of ivory bone tools as usable evidence of overkill. The problem with this should be obvious to anyone who understands that modern elephants face extinction because of the ivory trade, not because they are being hunted for food. It appears as though Grayson and Meltzer simply feel it ‘doesn’t count.’ It would seem only logical that an existence of desire for ivory-based tools would increase the systematic hunting of mammoths, much as we’ve seen with elephants. Also, because the transition to the Holocene also meant rising sea levels, it is possible that we have lost many of the kill sites that once existed. This possibility is supported by the existence of underwater localities. In fact, as Gary Haynes puts forward in “The catastrophic extinction of North American mammoths and mastodonts,” the Pleistocene-Holocene transition would reduce the feeding areas of proboscideans and reduce them to patches of land where these megafauna would congregate to (Haynes 405). No longer would they have free range of the North American landscape. These early hunters would have been keen on megafaunal patterns and would predict their routes, making hunting them that much easier. The congregation of so many mammoths and other megafauna to the same patches of land would have also facilitated the spread of disease. There is ample evidence that dogs accompanied the Paleoindians to the New World. 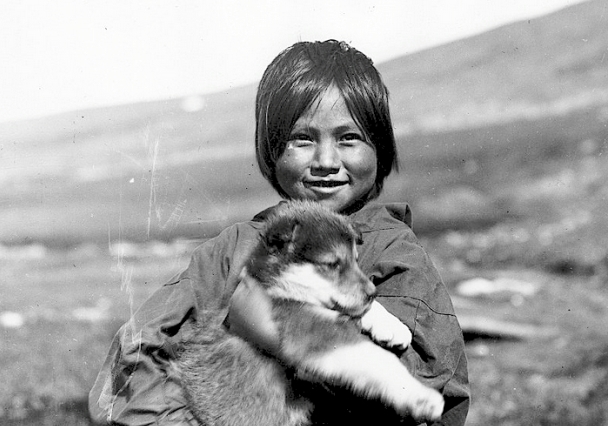 Archeological finds in the New Word, the mtDNA trace of domestication of dogs occurring in Eastern Asia just prior to Asian migration to the New World , the added explanatory power this provides for the ability of Paleoindians covering so much ground in so little time during their migration to the New World, all lend credence to this hypothesis (Fiedel 12). The addition of dogs compounds the possibility of both overkill and hyperdisease (which are by no means, mutually exclusive). Dogs would have aided greatly in both tracking and bringing to bay large herbivores like mammoths while assisting in confrontation of large predators like American lions and Giant short faced bears (Fiedel 18). The inclusion of dogs would have also of course, meant more mouths to feed, which would have compounded the need for meat, and driven hunting to an even greater extreme. Furthermore, these dogs could have brought Eurasian diseases with them, diseases that they themselves may have been immune to, unlike their previously unexposed New World mammalian counterparts. Given that the multiple explanations for the abrupt disappearance of North American megafauna all contain their own explanatory power and are by no means mutually exclusive, it’s easy to resort to a sort of intellectual path of least resistance and simply conclude that it’s “a combination of all of the above.” However, there is a certain negligence in simply doing so, as it leaves little or no room for the weighting of such factors, as though they each share a “33%” level of impact. Given that the large mammals of North American survived multiple ice ages with little or no trace of their numbers dwindling during these times, and given that the appearance of man to previously ‘uninhabited’ continents has been shown to coincide with such mass extinctions, the climate change should be allotted no more role than a possible supplement to this disappearance. The arrival of Pleistocene hunters should be given the primary role, through overkill as well as the likely addition of hyperdisease. The combined effect of the most efficient hunting groups on Earth at the time (man and dog) hunting to feed themselves would have put them in closer and constant contact with the large mammals such as Mammoths, possibly infecting them with this new hyperdisease. Mammoths, being the social animals that they were, would have easily passed on this disease(s) to other Mammoths, and likely to other mammals as well. American Museum of Natural History. 2 December. 2007. Contains a Geologic historical record of extinctions. Spends one chapter on the Pleistocene extinctions as well as the role homo sapiens potentially played therein. Retrieved from EBSCOHOST database on October 9, 2007. “Who were the First Americans?” Scientific American September 2000. 15 November. “Tuberculosis Helped Bring Down Mastodons.” Live Science 22 September 2006. 12 November.